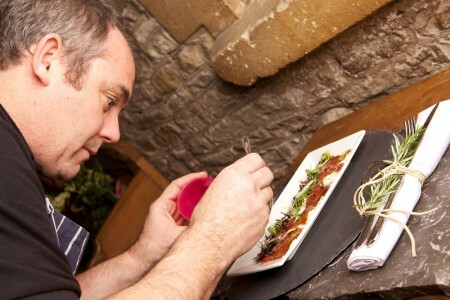 All our canapés are hand made by Conrad or one of his chefs. They can be themed to fit in with your event. 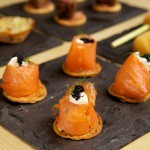 Cherry Picked Catering Canapés are simply delicious and elegantly presented using the freshest ingredients available. We would recommend that you have at least five types per person depending on the duration of your event. We can cater for small events of ten up to large events of eight hundred. We can also provide all the waiting staff you require for your event. 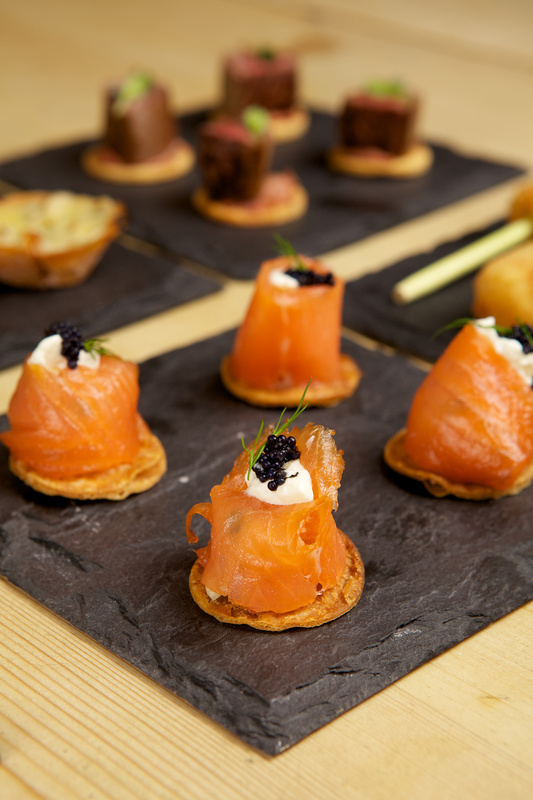 These are similar to canapés but a bit more substantial, ideal for functions where you want your clients to still mingle without the hassle of having to attend the buffet table and be distracted from their conversations. We would recommend you have at least seven types again depending on the length of time of your function. 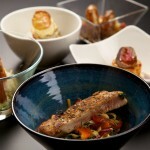 A spectacular way of enjoying individual mini meals whilst being able to stand and mingle with your guests. 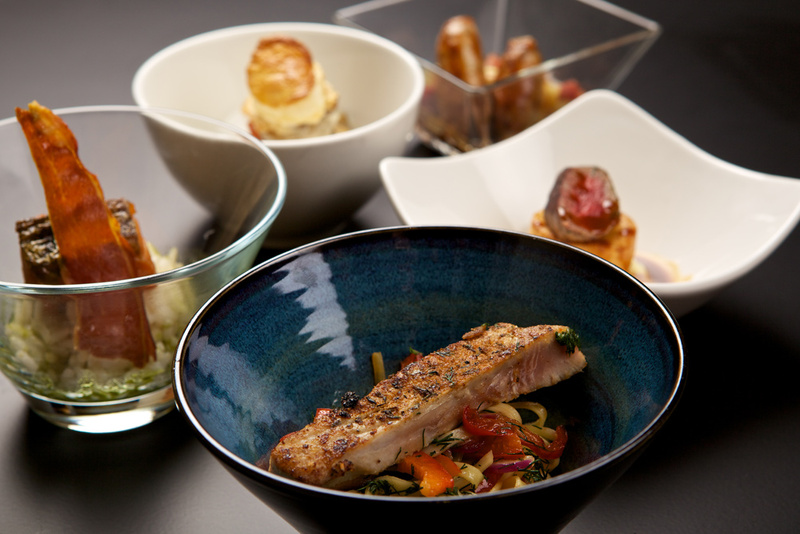 Each dish is meticulously prepared by one of our chefs and is executed to perfection in individual small contemporary bowls. 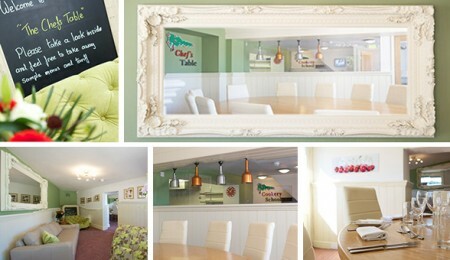 The Chefs Table is for groups of people who enjoy fantastic surroundings, great service and excellent food. It is designed for parties of 8 to 15 and the restaurant is all yours. Watch the live link to the kitchen through the viewing window or enter the public area of the kitchen and learn hints and tips from your chef. 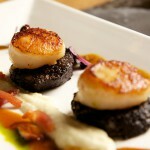 This will involve total exclusivity at The Chefs Table an ideal venue for both private and corporate use. Set in a stylish and contemporary setting with delicious food and fine wines The Chefs Table has a glass panel looking directly into the kitchen. The Chefs table will cater for a minimum of 8 to a maximum of 15 people and provides a venue for private celebrations for friends and family such as Birthdays, Anniversaries and Christenings. This venue is an ideal location for corporate use where Breakfast,Lunch and Evening meetings can be carried out in total privacy. Some of my earliest memories are when I was a little boy watching my mum cooking. Mealtimes were always very important in our life and family time very much revolved around the table. Being part of a very large family where money was tight, my mum was very resourceful in using the cheaper cuts of meat and creating something quite delicious. Vegetables were grown in the garden; as soon as the wind picked up in autumn we were all sent outside to pick the fallen fruit and blackberries. Christmas and Easter were always big occasions, a time where the budget would be forgotten and my mum would create quite wonderful six course feasts, home made pates, pickles for the hams, bird stuffed inside birds five times over and of course the sticky pavlova. At the age of 15 I decided that the time had come for me to get a part time job, I put on my best clothes and borrowed my dads suede jacket and off I went. In hindsight, maybe I was a little overdressed, as I was looking to get a job washing- up in one of our local hotels in the village. Bingo! The first hotel I came to they took me on. I earned fifty pence an hour, any breakages had to come out of my wages and if was late I would be out of a job. This was the start of by exciting adventure into catering and what a journey it has been. That was 30 years ago, but from that day onwards my passion for creating, cooking and continuing to learn about food has not wavered. That’s not to say amongst the creativity is a lot of hard work, catering is definitely not a career for the faint hearted! 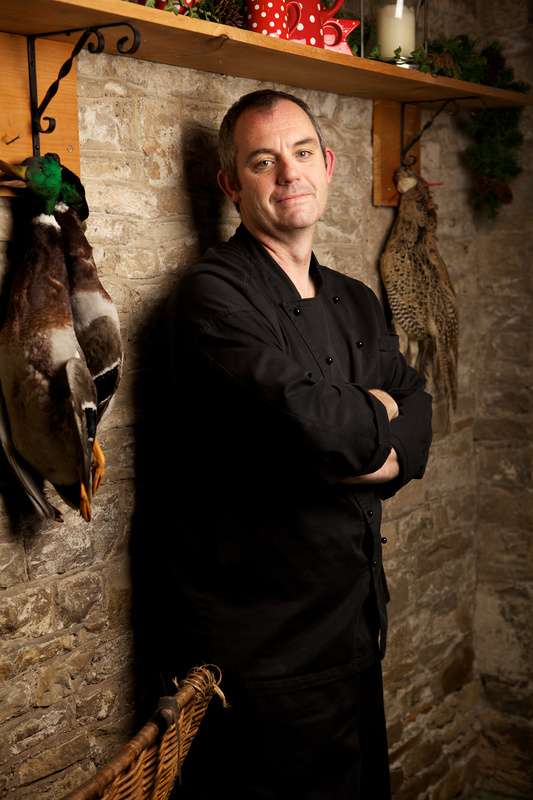 I have worked in and indeed owned some of the best restaurants and event catering companies in and around Bristol. When I meet potential clients, be it to discuss their wedding or function the buzz I get discussing their requirements and then producing that end result is purely sublime. Finally I must point out I could not of achieved any of this had I not had such an understanding, supporting and loving wife. From the early days where her college grant used to pay for our rent, the day I announced that it would be a great idea to sell our home and plough all the money into a restaurant ( she smiled and went along with it) and all the 17hr days I spent away from home leaving her to look after our three beautiful girls. I really do think I am one of the luckiest guys, doing something that I truly love and having a family who I love and adore.